Is it Time to Taper Off Antidepressants? If you started taking meds to lessen a particular symptom, you should stop taking them once that symptom has passed. Hear that ticking? It could be your antidepressant. At one time, doctors dispensed them like jelly beans, without concern for how long you took them. Or how you stopped. Laura started taking antidepressants when she was 53. “I was the primary caretaker of a mother with dementia, while holding down a full-time job. “My stress level went through the roof,” she said. Although her mother died over ten years ago, Laura’s still on Lexapro. Julie started taking antidepressants at 42 to deal with PMS symptoms. “I always had monthly zombie mood swings and crying jags. Zoloft made a big difference in my life,” she said. She’s been taking it now for 20 years. Shelly was 47 when she started taking Lexapro. “I was going through the divorce from hell and had seven-year-old twin daughters. I was falling apart at work, crying all the time,” she said. Shelly now lives a continent away from her ex, her twins are going off to college, and she has successfully launched an herbal tea business. She’s been on Lexapro for over ten years. Each of these women had a good reason to start taking antidepressants. But why are they still on them long after their stressors have been resolved? “Ten, fifteen years ago, we put too much trust in antidepressants. They were oversold and over endorsed,” said Michael E. Thase, MD, Professor of Psychiatry and Director of the Mood and Anxiety Program at the University of Pennsylvania. “Typically, you would stay on an antidepressant for 9 to 12 months, then taper off,” said Dr. Thase. 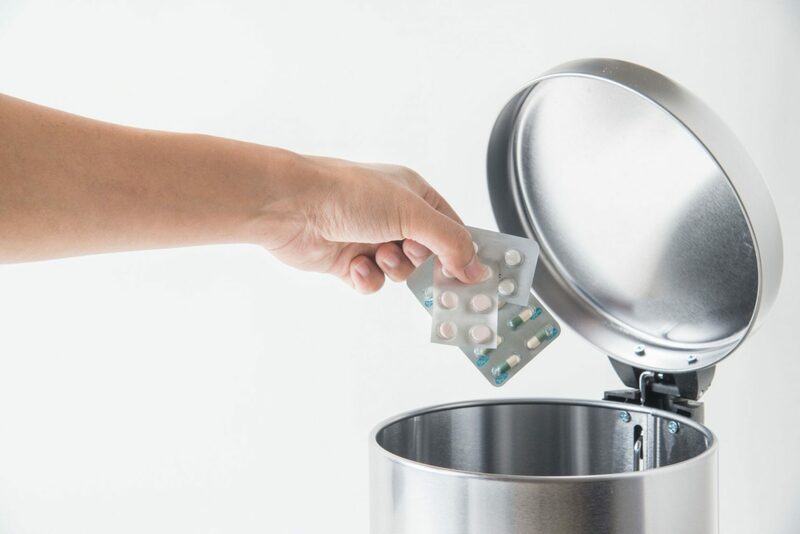 “If you started taking antidepressants to lessen a particular symptom, you should stop taking it once that symptom has passed, not indefinitely.” If you, like many women, started taking antidepressants in your forties or fifties in response to major life changes–menopause, divorce, caring for elderly parents, coping with a serious illness–you may want to rethink why you’re still taking them now that those issues have resolved. The antidepressant exit lane is long and winding. If not done slowly enough, under a doctor’s guidance, withdrawing presents the kind of gruesome side effects that are rapidly whispered in TV drug commercials: vertigo, electric-shock sensations called “brain zaps,” confusion, headaches, depression, anxiety, insomnia and nausea. Which explains why so many women who attempt to stop–go right back on them. They mistakenly think, if this is how I am without my antidepressant, I’ll take it forever. According to a recent article in the New York Times, many experience such disturbing side effects when they attempt to stop, they feel addicted. Julie, a university professor, recalls, “When I stopped taking Zoloft, I noticed I was more irritable with my students. Then, during a departmental meeting, I had a full blown panic attack. My hands were shaking. It was frightening. I didn’t know what was wrong with me.” she said. “The longer you have been taking an antidepressant, the more helpful it’s been, the more slowly you need to go off it,” said Dr. Thase. “ I recommend micro-tapering, reducing your daily dose ten percent each week for up to nine weeks or longer,” he said. For some, nine weeks can stretch to nine months. Rather than trying to cut pills, it may be necessary to wean yourself off your anti-depressant in liquid form. Dr. Thase also recommends psychotherapy during the withdrawal process. Not all antidepressants have the same withdrawal side effects. “The most notorious for dramatic side effects are Efexor and Paxil,” said Dr. Thase. The easiest withdrawal? Prosac. When to stay on antidepressants? If you have a history of long-term depression, anxiety or bipolar disorder, going off your meds may cause more harm than good. “Left untreated, depression increases the risk of heart disease and osteoporosis. Untreated anxiety can hasten the onset of dementia,” said Dr Thase who recommends that such patients include exercise and nutritional supplements in addition to their antidepressant. Deciding to stop taking an antidepressant on which you feel “good” is a major medical decision. And not one you should make alone. Talk it over with your doctor or therapist. Review the reasons you started taking antidepressants. If it was to regain your balance and functionality during a stressful time, and that time has passed, you may want to explore the benefits of weaning yourself off of it. If, however, you have a history of recurrent depression, anxiety or panic attacks that preceded your taking antidepressants, you may need to remain on your medication or adjust it. “Patients have to ask themselves annually, what’s in it for me? Once a year, they should re-evaluate the pros and cons with their physician,” said Dr. Thase.